POSITION PURPOSE: The Home Care Aide performs services for the client as necessary to maintain the personal care and comfort of the client. 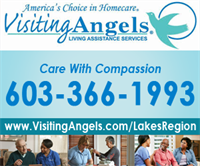 The Home Care Aide/Caregiver reports directly to the: Staffing Coordinator/Case Managers. Understand and adhere to information and precautions contained in individual client’s Home Plan of Care. Assist the client with client's self-administration of medications. Prepare appropriate documentation of the client care or service(s) furnished. Report all client and employee incidents/accidents to supervisor immediately. Assist the client with exercise, ambulation and transfer activities. Be aware of proper body mechanics. Observe safety precautions including: wiping up wet floors, spills and other falling hazards immediately. Also report safety hazards, frayed electrical cords, unsecured handrails, malfunctioning smoke and carbon monoxide detectors/alarms, defective equipment or environmental hazards to supervisor on the same day of observation. Engage in respectful social interaction with client, including friendly conversation and empathic support, as well as, respecting client’s privacy and property. Respond and attend to client’s requests promptly. Previous experience in private duty home care preferred. Ability to lawfully work in the U.S. Sitting, standing, bending, reaching, stretching, stooping, walking, climbing stairs and moving intermittently during working hours. Must be able to properly operate office equipment. All of the above demands are subject to ADA requirements.